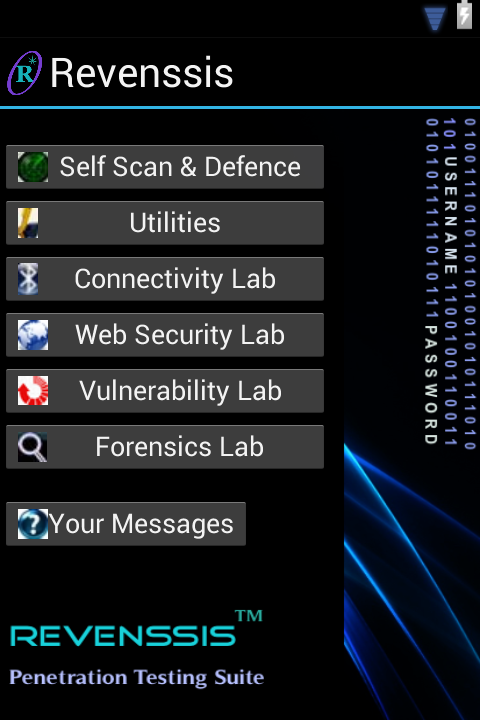 Nicknamed as the "Smartphone Version of Backtrack", Revenssis Penetration Suite is a set of all the useful types of tools used in Computer and Web Application security. Tools available in it include: Web App scanners, Encode/Decode & Hashing tools, Vulnerability Research Lab, Forensics Lab, plus the must-have utilities (Shell, SSH, DNS/WHOIS Lookup, Traceroute, Port Scanner, Spam DB Lookup, Netstat... etc). All these fitting in an application approx. 10MB (post installation).